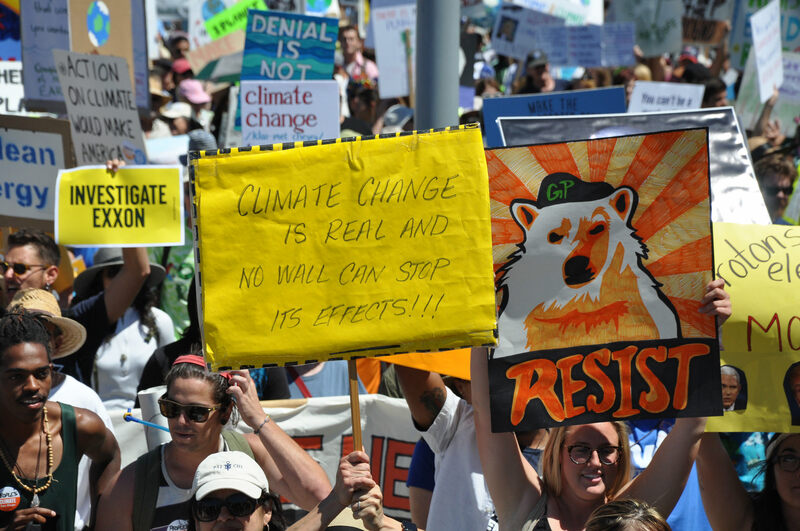 You can help make the Rise for Climate March San Diego a success by helping to get the word out. 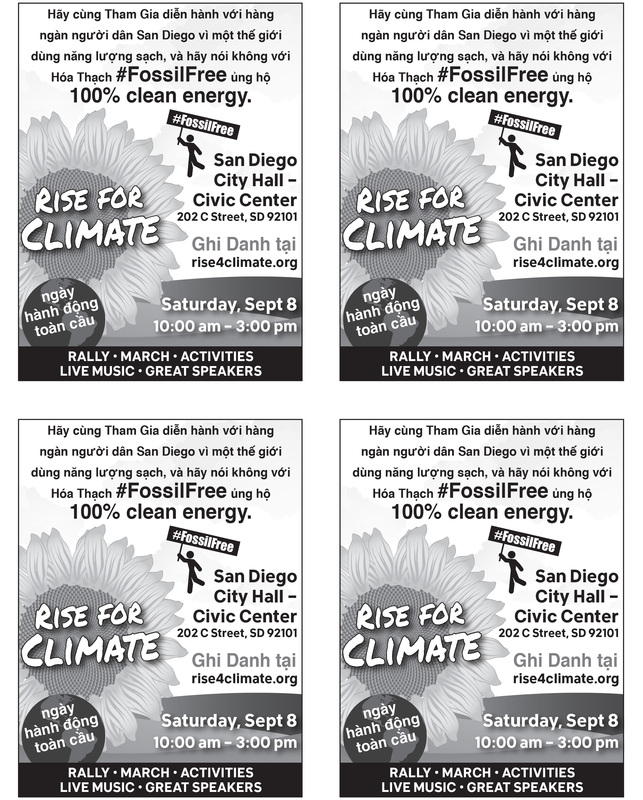 Flyers are available for download in English, Spanish, and Vietnamese thanks to volunteer Karin Wilson of Wild Woman Design for donating her time and talent to create them! 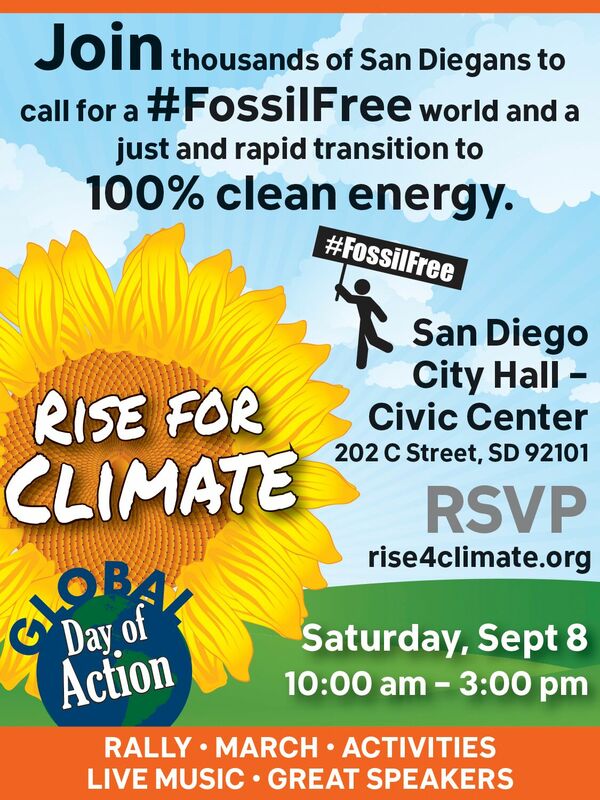 To help spread the word on social media, please visit the event page on Facebook, share it on your timeline, invite your friends, and last but not least, please tweet about the march using the hashtag #RiseForClimate. We also have full-color flyer images – in English, Spanish and Vietnamese – you can use in your emails and social media. 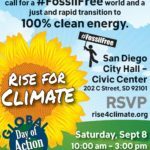 On September 8, 2018 we join the worldwide Rise For Climate march. We have marched in masses for years and we must remember how important and effective people power has been historically. We marched for women’s suffrage and in 1920 people power won us the vote! We marched for labor rights and in 1938 people power won the minimum wage, overtime pay and restrictions on child labor. We marched for civil rights and in 1964 people power won the Civil Rights Act which made segregation of public spaces and racial discrimination in employment illegal. We marched for healthier communities and in 1970 people power won the Clean Air Act. All of these movements are memorable and important movements in history which have affected all of us, whether we were even alive or not. 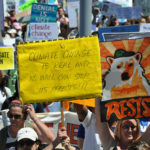 People power is what drives progress in this country and what protects the future of all of us and our beloved planet. There is no better time than the present to end the era of fossil fuels and build 100% renewable energy for all. We will create clean jobs, save lives, fight environmental injustice, and protect our future. We know what needs to happen, we just need to make it happen! 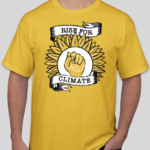 The global Rise For Climate march is an opportunity to have our voices heard, and grow the climate movement. Policies do not create themselves — people do, and we must continue marching; we must keep this movement alive. We cannot stop until we have cemented change into our future for the planet, children, animals, and all who need us to speak for them. As a campaign coordinator in San Diego with one of the most effective people powered organizations, Greenpeace, I have learned that there is no greater power than that of people standing in unity. 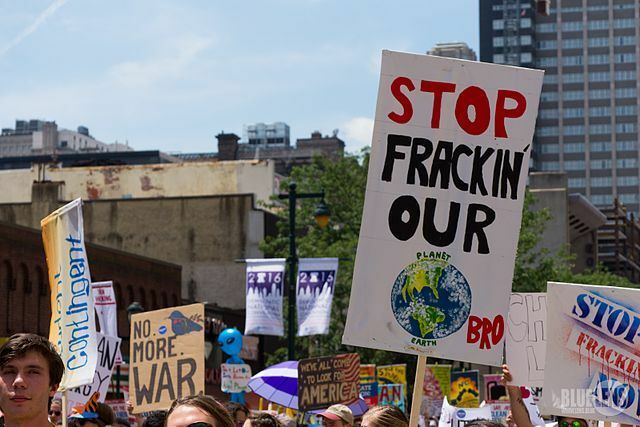 We started as a dedicated group of 12 activists that have now grown to over 63 million people who stand for environmental justice, social justice, and human rights. We are calling on you, now, more than ever, to stand together and demand climate justice on September 8th, 2018. Be a part of the next historical movement that will make changes to protect the future. On this day, people all over the world will be coming together to march for climate justice. We know from recent history that enough people standing in solidarity can not only instigate change, but can also set a whole new standard for the next generations to come. 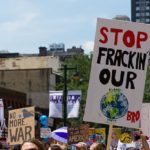 Posted in Latest NewsLeave a Comment on The time has come for us to engage our people power and rise for climate justice once again!